Neuro-Linguistic Programming (NLP) studies human excellence and applies to every field of human endeavour. This book shares the expertise of some of the top Society of NLP Master trainers' in thier chosen fields of endeavour. 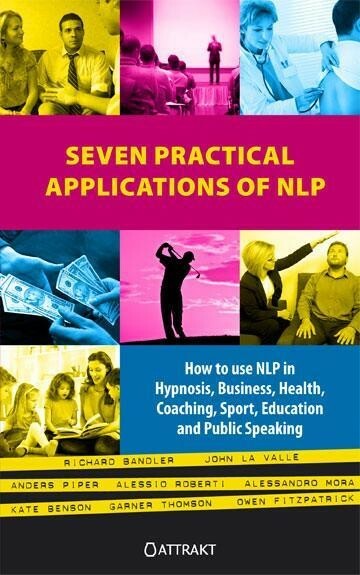 In this book we explore seven of the most important practical applications of NLP. In fields such as hypnosis, coaching and public speaking NLP is successful and well known. Yet there are applications where the role of NLP is less well known,. NLP brings out the best in people, whether it is in Sport, Education, Health or Business.